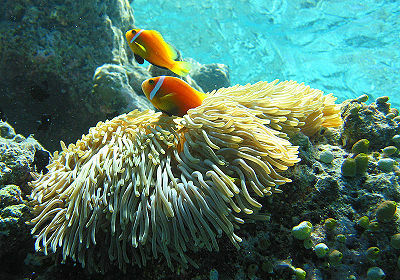 The Maldive Anemonefish is also known as the Blackfinned Anemonefish. It is a rusty, orange color with a single white stripe running vertically just behind the eye. It is found in Sri Lanka and the Maldives. This fish is appropriate for experienced aquarists and is fairly expensive, at $25-$50. Females grow up to 4.3 in., males to about 3.2 in. 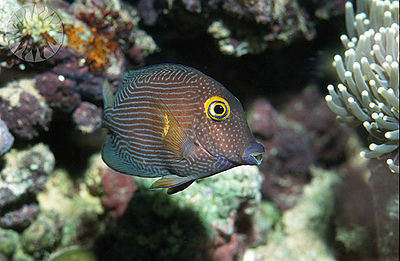 Damselfish and Clownfish may be aggressive towards this fish. The tank should be 40 gal.